He's been tipped for grand slam contention this year after lighting up the ATP Tour but the only thing on Nick Kyrgios's mind right now is rest. He’s been tipped for grand slam contention this year after lighting up the ATP Tour but the only thing on Nick Kyrgios’s mind right now is rest. 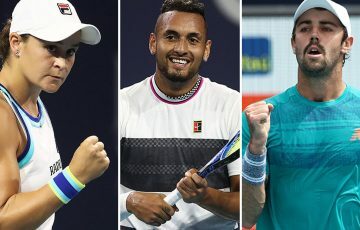 Kyrgios sent Australia through to the Davis Cup semi-finals on Sunday with his straight-sets defeat of Sam Querrey – the emotional crescendo to a two-month stretch of career-best tennis from the 21-year-old firebrand. 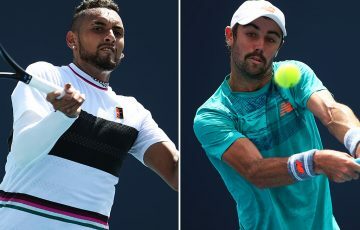 It sparked jubilant celebrations at Brisbane’s Pat Rafter Arena with captain Lleyton Hewitt and his teammates Jordan Thompson, Sam Groth and John Peers, whose behind-the-scenes support Kyrgios credited as been central to his recent rise. 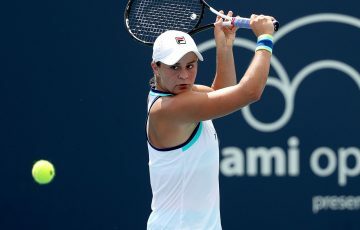 The world No.16 appears to have finally figured out how to match his undoubted natural talent with a consistent application of effort and a more mature outlook on sport and life in general. But success at the French Open or Wimbledon was not on Kyrgios’ immediate agenda after sealing the World Group quarter-final tie. “Honestly, I think the last two months has taken a lot out of me,” he said. “I’ve got Monte Carlo up next. But my body, I am feeling it a little bit. “Emotionally, this week takes a lot out of you. Every day, you get close to the tie, practice becomes a bit more intense. “I think I need a bit of a rest. I’ve played a lot of tennis in the last month. “I’m looking forward to the clay court season. I played well on clay last year, had a couple of good results. 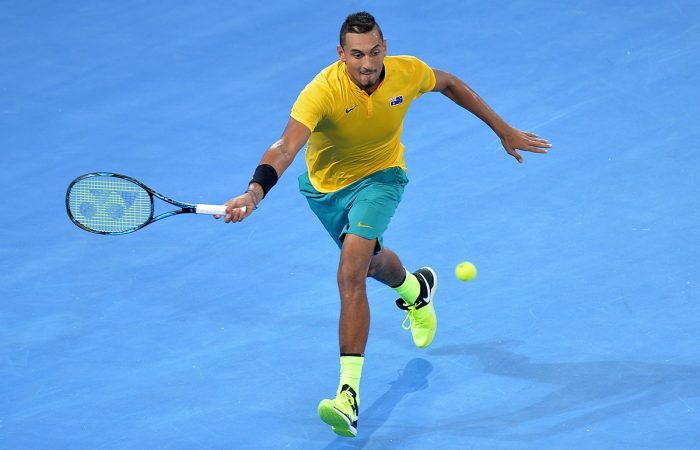 Kyrgios won’t return to the Davis Cup fold until September, when Australia travel to Belgium for the semi-final. David Goffin inspired Belgium to victory over Italy in Charlerloi on Sunday by beating Paolo Lorenzi 6-3 6-3 6-2 to wrap up an unassaiable 3-1 lead before Alessandro Giannessi saw off Joris De Loo in a dead rubber. . Success against the US marks a quick return for Australia to the final four after their last appearance in 2015, when they were defeated 3-2 by Great Britain in Scotland. “I think we can win it,” Kyrgios said. “I’ve beaten every other singles player, so I feel confident whoever I go up against. 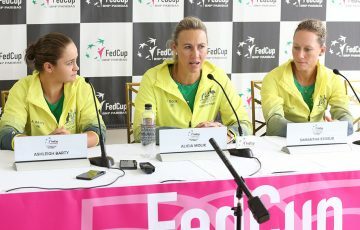 “And it’s not easy to beat Thommo over five sets. Thommo does for this. “He competes every point. He’s fitter than any player you’ll find on tour and he’s got the heart of a lion.